Hi there, WordPress users! 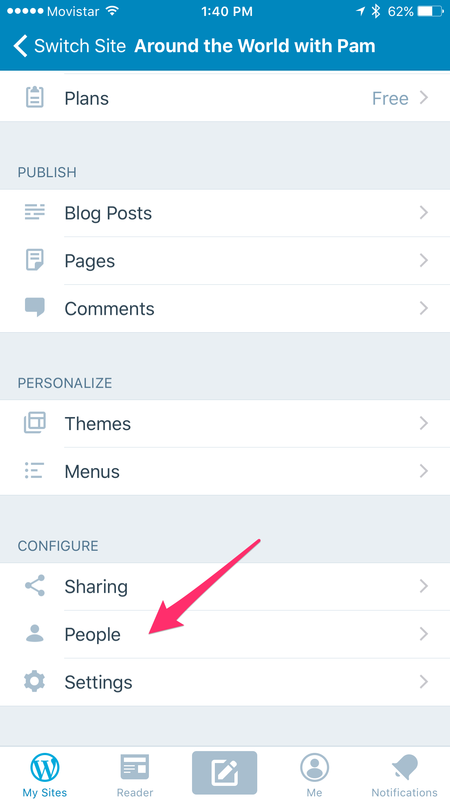 Version 6.4 of the WordPress for iOS app is now available in the App Store. iPad Keyboard Shortcuts. Press down the command key on your external keyboard to see a list of available shortcuts in the main screen and in the post editor. Hold down the command key, and see the available shortcuts. There are many shortcuts you can use in the post editor, too. Share Media. 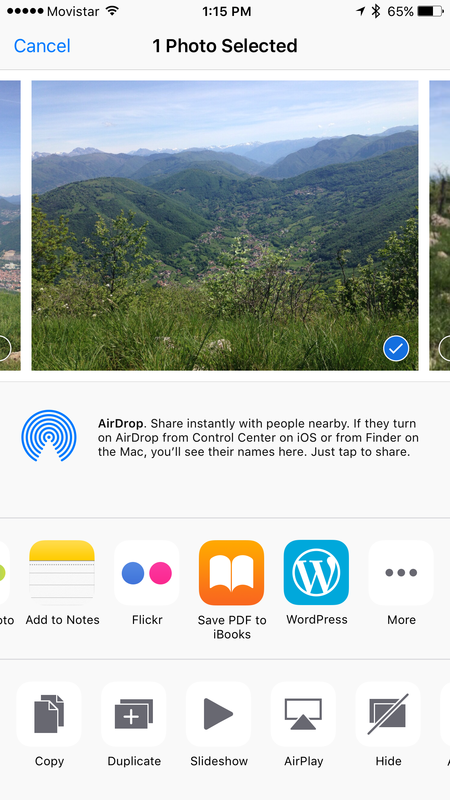 Our sharing extension now supports media, too! 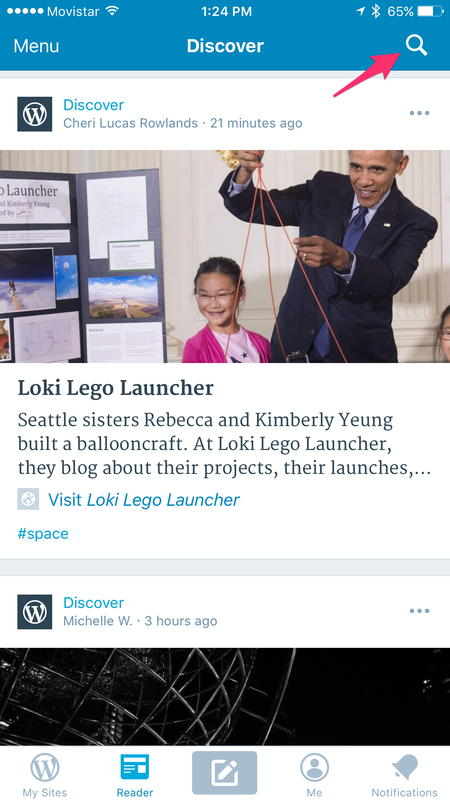 Select any image and tap on the WordPress icon. 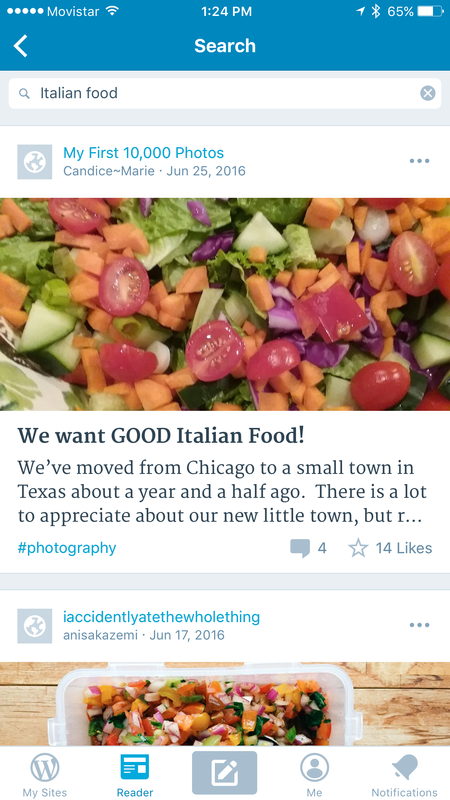 Add a message and share it to your blog! People Management. 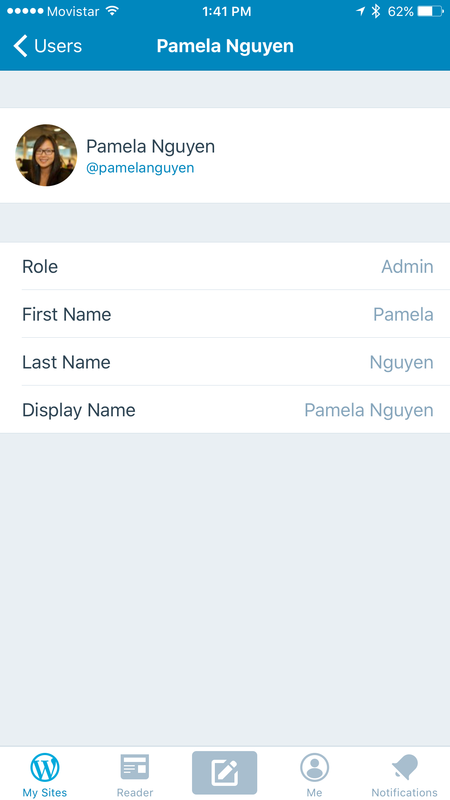 You can now manage your site’s users and roles using your mobile device. A new people management section is available. 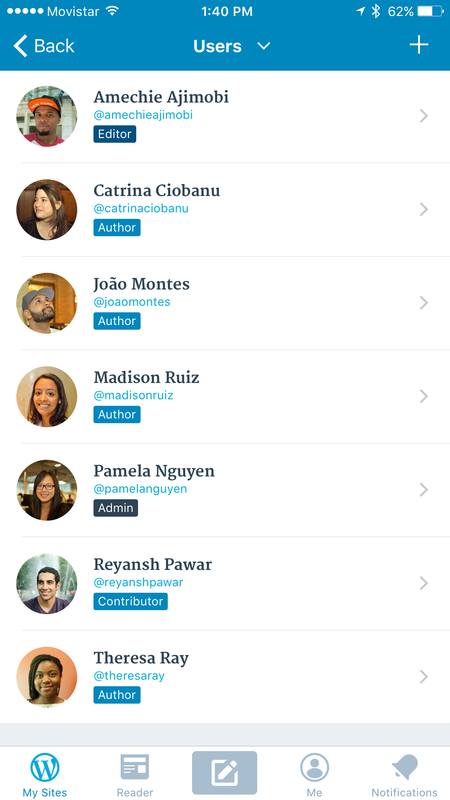 See a list of your blog’s users and their roles. Tap on any person to see their details. Search in the Reader. The Reader now has search capability and autocompletes suggestions. 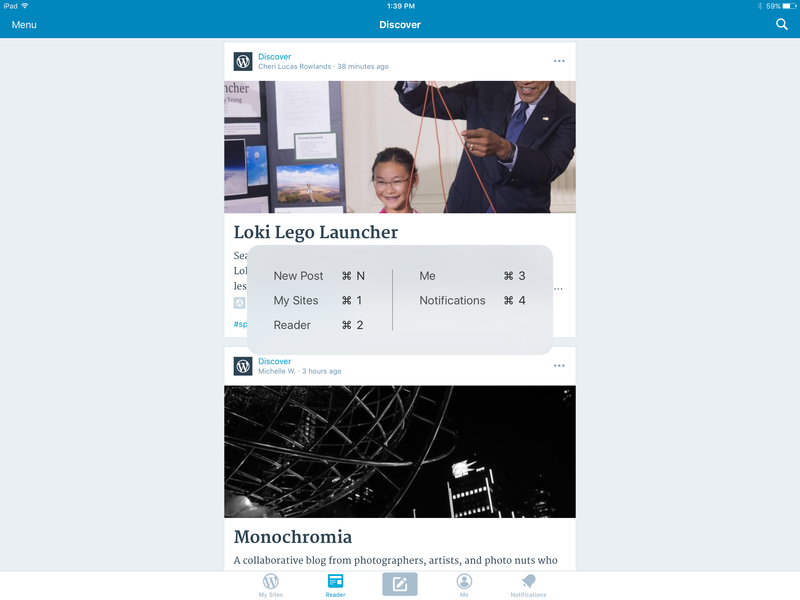 Tap the magnification icon on the top right corner. Searching is easier than ever. Improved Gestures. 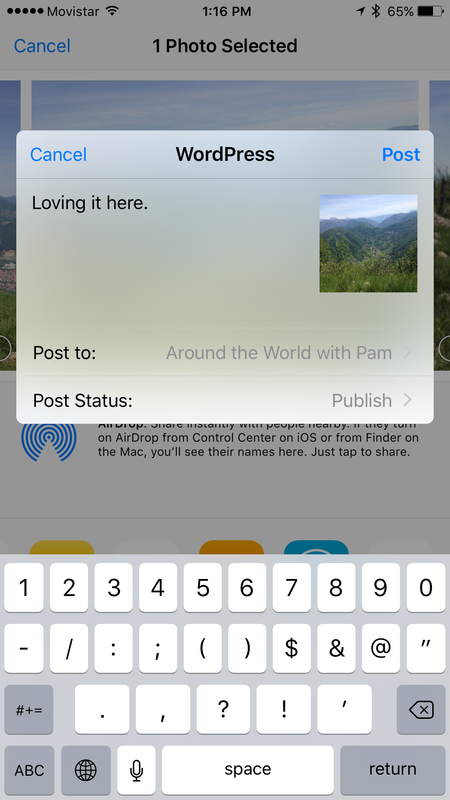 Full screen image previews can be dismissed with a swanky flick/toss gesture. Bugs Squashed. A new homemade bug spray formula has allowed us to squash many uninvited guests. You can track the development progress for the next update by visiting our 6.5 milestone on GitHub. Until next time!